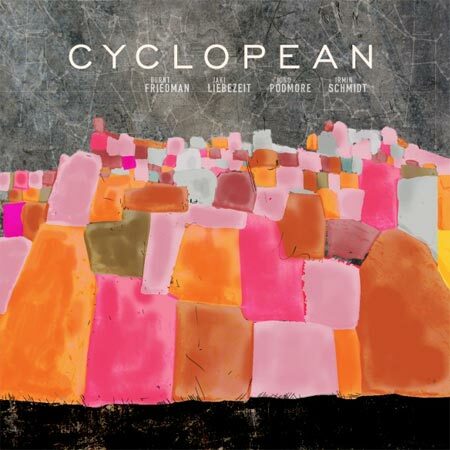 Named after an ancient construction style involving stacks of irregularly-shaped rocks, Cyclopean is an instrumental quartet comprised of Burnt Friedman, Jono Podmore, and two founding members of Can, Jaki Liebezeit and Irmin Schmidt. In line with their namesake, Cyclopean piece together disjointed building blocks to form sonic megaliths, as if to stress not just the importance of an impressive final form, but of minute attention to detail as well. Repetition and minimalism go hand-in-hand on Cyclopean; finely-tuned percussive components and well-placed electronic drones, noises, and theremin textures comprise the foundation of the record. Though the EP initially weighs heavy, it grows increasingly airy as it progresses. By its end, it has been loosened from its restrictive ground tethers, ready to float off like a castle in the sky. “Apostles”, the first of the four-track EP, finds Cyclopean very much bound to earth in a carnal sense. With its heavy reliance on simple rhythms and drum sounds, it seems to soundtrack a fire dance in the Australian outback or around an aboriginal cave dwelling. Move forward onto “Fingers”, and the same dark dancers remain — though here, much more ghostly, the affected parties already beginning to pass on from the solid earth into a more etheric world of washy textures. The track’s tangled instrumentation encourages introspection, its complexities functioning in the same way that the variable licks of a roaring fire might maze one’s mind. Something deliciously primitive sparks with Cyclopean, yet they maintain futuristic qualities at the same time, forming a contradictory new universe of “futureprimitive” soundscapes. These lands are in disarray but the wreckage can be beautiful, one soon finds; “Knuckles” opens with tinny drums scraping up against alien groans, but classic piano keys offer the first clear gleams of calm beneath a blanket of chaos. Cyclopean is propelled forward by percussive momentum from its very beginning, but with “Knuckles”, the direction seems to shift noticeably. 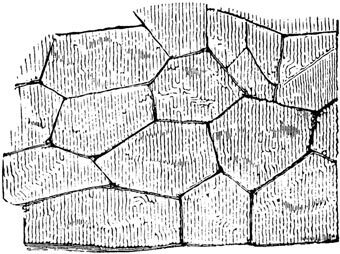 Whereas “Apostles” and “Fingers” seemed to champion the growth of a sprawling human construction, “Knuckles” marks the beginning of an upwards trajectory. The band’s wandering spirit now feels bound for the skies, with loftier goals than simply dancing around a fire or even staring blissfully into it. Here are moments of complete light and radiance with the twinkling of bells and keys; one is standing at heavenly gates, catching glimpses of eternity — though remnants of the underworld still creep in via dark sputtering and ghostly siren sounds. By the last track, “Weeks”, nearly all earth-bound heaviness has been shed, giving way to a nearly monastic symphony of chimes; wayward and mundane pleasures are now straightened into joys, full-on celebrations which leave one in the twinkling heavens. Twenty-two-and-a-half minutes from when the record first began, one ends the journey, wondering how much further there is to rise after already floating so far up from the fire.